In The Goddess’s little world, there aren’t too many things better than Chocolate Chip Cookies. Particularly fresh out of the oven, all gooey and creamy soft in the center, with just a hint of crispness around the edges. Excuse me, but I need a moment to savor this thought. 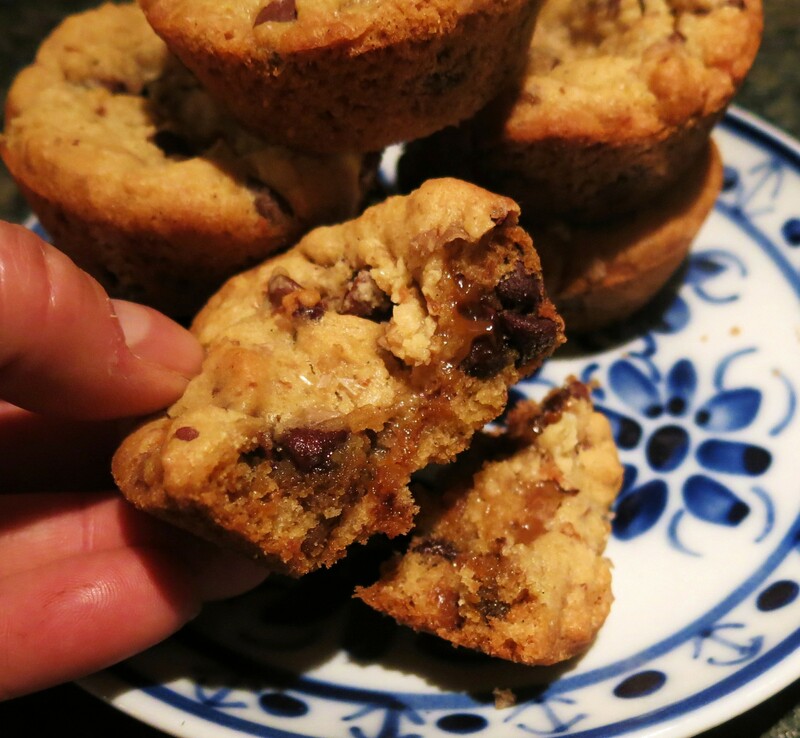 The Goddess was cruising around the Internet the other day and she happened upon postings for deep-dish chocolate chip cookies…hmmm! “Interesting idea”, she thought. She had recently had an out-of-body experience with a warm chocolate chip cookie that had bacon in it. Everything has bacon in it these days, but this was a rather tasty cookie. But, you know, she then thought “Caramel. Wouldn’t caramel be just the thing to further enhance this already hedonistic experience?” Alas, she didn’t have any caramel, but…but…but she did have dulce de leche and that might be even better! And that’s when this cookie came together. Preheat oven to 350°F. Spray a muffin tin(s) with cooking spray and set aside. In a bowl, combine the flour, baking soda, cornstarch, salt, chips and bacon. Set aside. In a medium bowl, using a whisk, cream the butter and bacon fat until combined and smooth. If there are little bits of bacon in the rendered fat, that’s a little flavor bonus! Add the sugars and beat just until the mixture is smooth and creamy, about 1 minute. Beat in the eggs and vanilla. 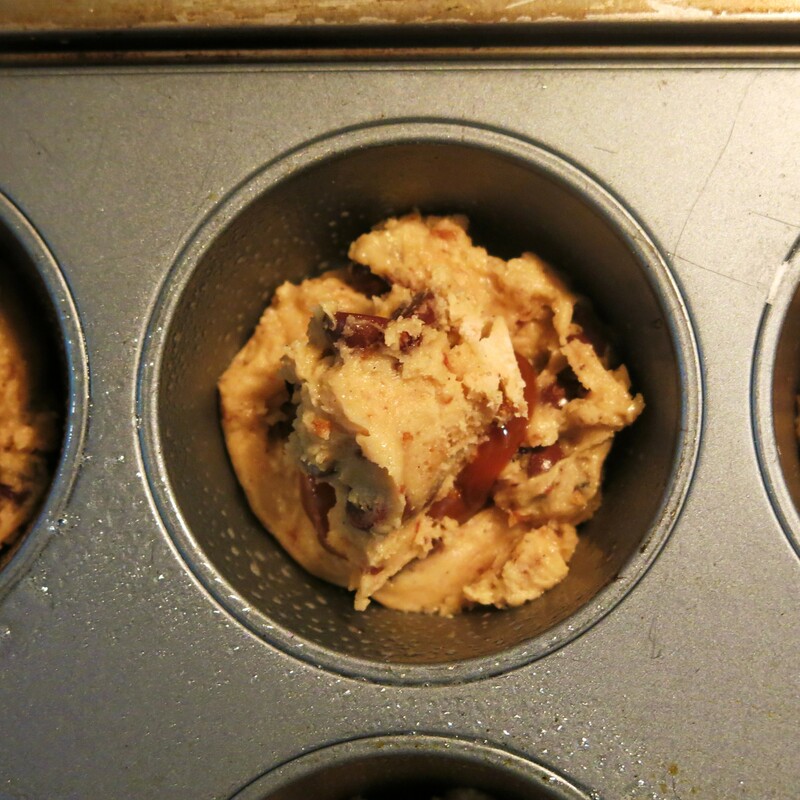 Dump the flour mixture into the bowl; pour the chocolate chips and bacon pieces on top of the flour. Using a rubber spatula, stir everything together until the mixture is combined; don’t over-mix. Drop a tablespoon of batter into the bottom of each muffin tin, gently pressing the mixture to cover the bottom completely. Place a teaspoon of the dulce de leche in the center of the dough “disc” (this is particularly easy if you purchase the dulce de leche in a squeeze bottle). 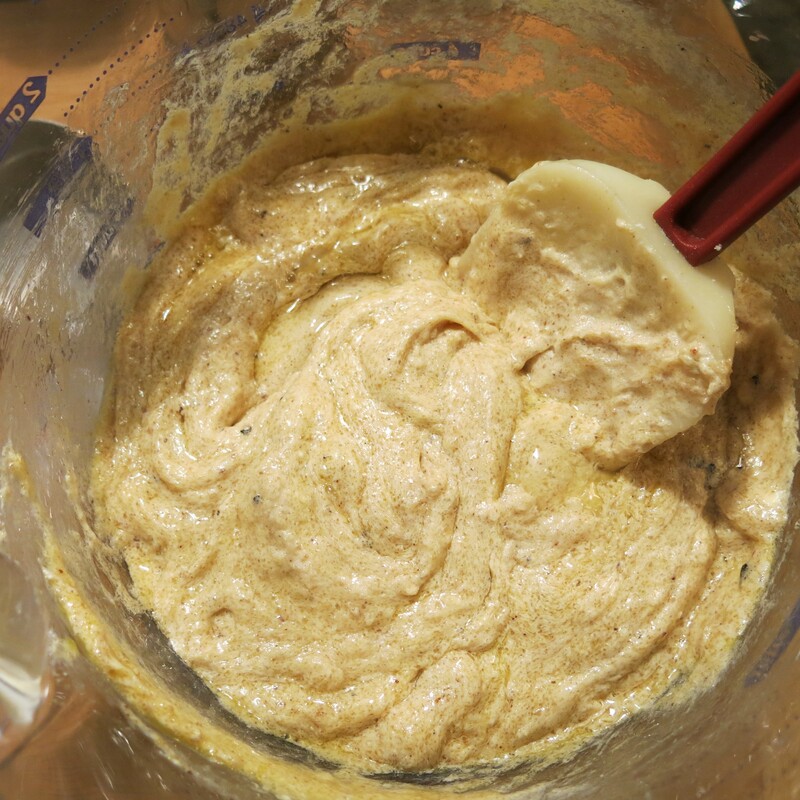 Place an additional tablespoon of dough on top of the dulce de leche and gently press that down to cover. Sprinkle with the smoked or regular sea salt. Bake the cookies for 10-12 minutes or until the centers are barely set and the edges are golden and ever so slightly crisp. Remove the tins from the oven; let stand for 5 minutes, then remove to a wire rack to cool completely. You may need to run a table knife around the edge of each cookie. You may use a muffin top pan, but the cookies will be thinner. Excellent served with a scoop of ice cream. You may rewarm the cookies by microwaving them on HIGH for 10-15 seconds. 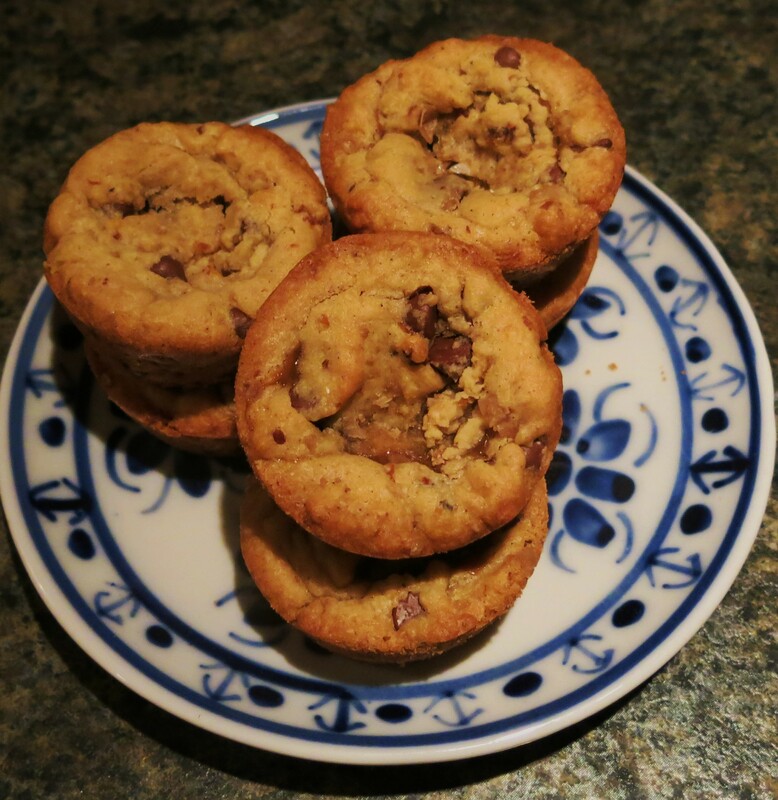 Decadent Deep-Dish Chocolate Chip Cookies Recipe©Marcia Lahens 2015. All rights reserved. I didn’t use the mixer, as I was in a hurry and it worked just fine. I mixed the wet ingredients together. Then I added the dry ingredients, including the chocolate chips and bacon bits. Did I take a picture of that? Of course not. I was trying to get these made before work, but you’ve made cookies, so you know what they should look like. Anyway, I used milk chocolate chips, because that’s what I grabbed first, but next time (and there will be a next time!) I’ll use bittersweet or semi-sweet chips. 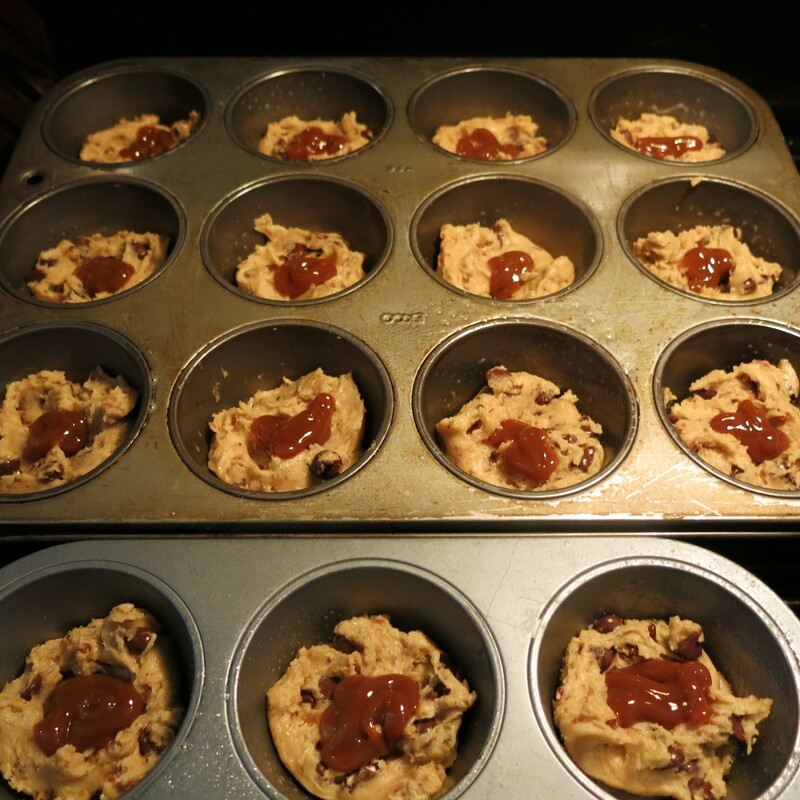 I put a tablespoon of dough in the bottom of each muffin tin. Then a teaspoon of the dulce de leche in the center. I was trying to keep it from running to the edge, because I think it will stick and create problems when you want to remove the cookies. 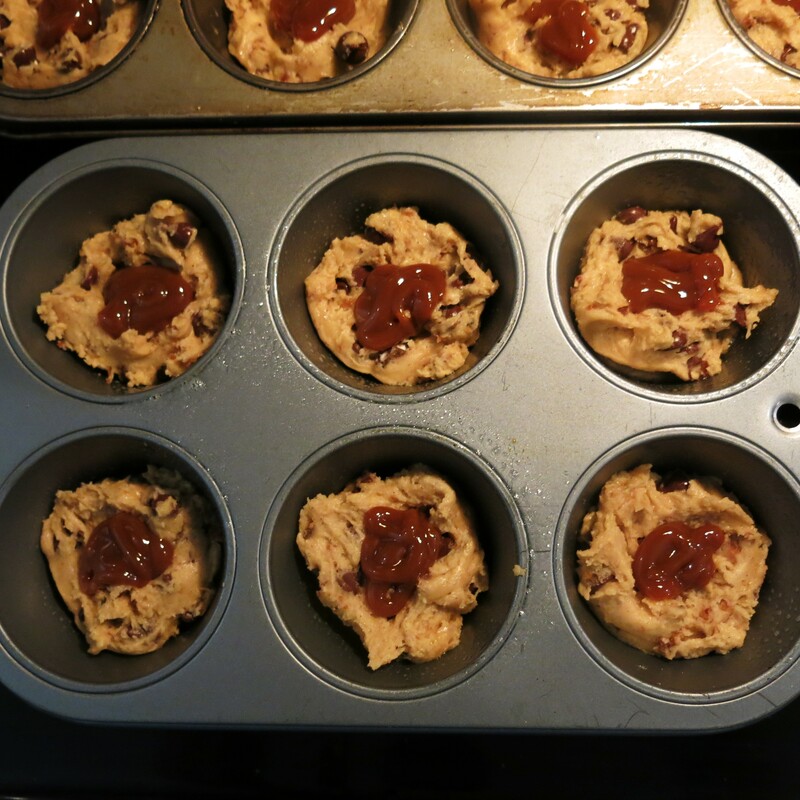 Then, another tablespoon of dough on top, and bake them. These baked about 13 minutes and I think I would prefer them at around 11 or 12 minutes. But, you decide how you want them to be. These go together quite quickly and that’s a good thing, because you’ll want to devour the whole pan by yourself. You won’t want to share. But do share them. You’ll make a friend for life.